Kiwi Fabric is a fresh-faced Etsy shop located in northern California, not far from where I was raised. The fabric on offer is very much the style that I like to sew with. That’s why I reached out and invited them to sponsor! I hope you’ll take a moment to get to know Kiwi Fabric and enter our giveaway. First, I like that Kiwi offers presale bundles on a few upcoming collections. Sometimes after quilt market, I have my eye on something special that I don’t want to miss. That was the case this year, when I saw Heather Ross’ Trixie collection. This collection arrives in February and I already have plans to make a simple patchwork quilt and some dresses for Rora. I never regret adding Heather Ross to my stash. You can also preorder Carolyn Friedlander’s Harriot and find Allison Glass’ Road Trip in stock now. In my view, a well-balanced fabric shop offers eye-catching, inspiration prints like the ones above, as well as versatile basics. In that arena, Kiwi Fabrics has a mammoth selection of Kona Cotton Solids. They’re available by the half-yard for $3.30 or in inviting bundles chosen by RK designers like Carolyn Frieldlander and Elizabeth Hartman. I also spied a bundle of Netorious, my favorite Cotton & Steel basic. Such a helpful little print! Oh, and awesome modern-style widebacks! 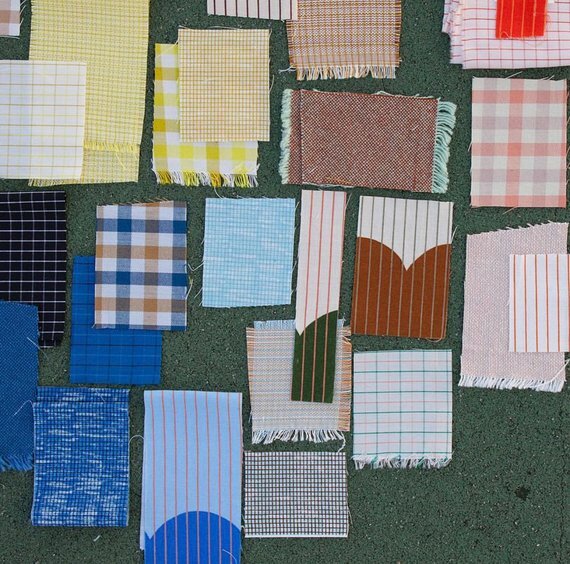 Can’t forget those for your next big quilt. If you like what you see, consider following Kiwi Fabric on Instagram. Kim posts about new arrivals and newly cut bundles or scrap packs. 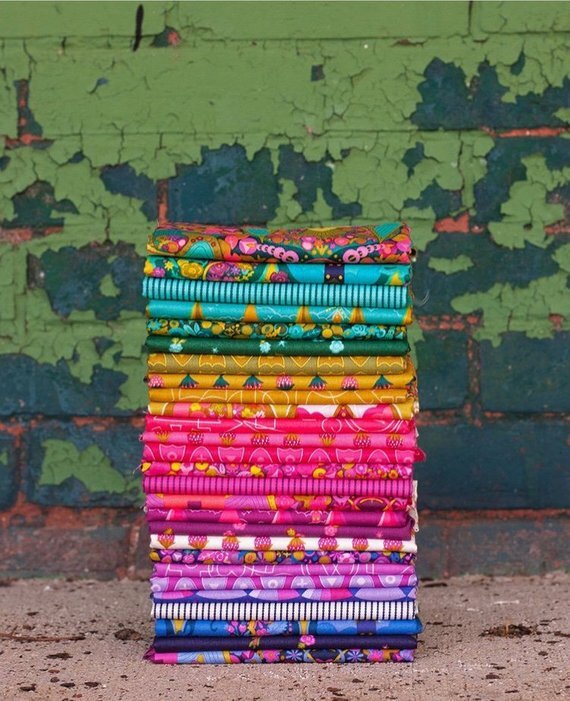 A little fabric eye candy for your feed! One lucky reader will win a $30 gift certificate for Kiwi Fabric! When you make your purchase, Kim will also include in the winner’s shipment a Cotton & Steel Around The World Once Upon a Time tote (below) and coordinating Cotton & Steel Kibori pin. Fun! This giveaway is open Internationally. To enter, add your comment here now through January 13th. Giveaway Closed. Congrats to Judy W., our lucky winner!